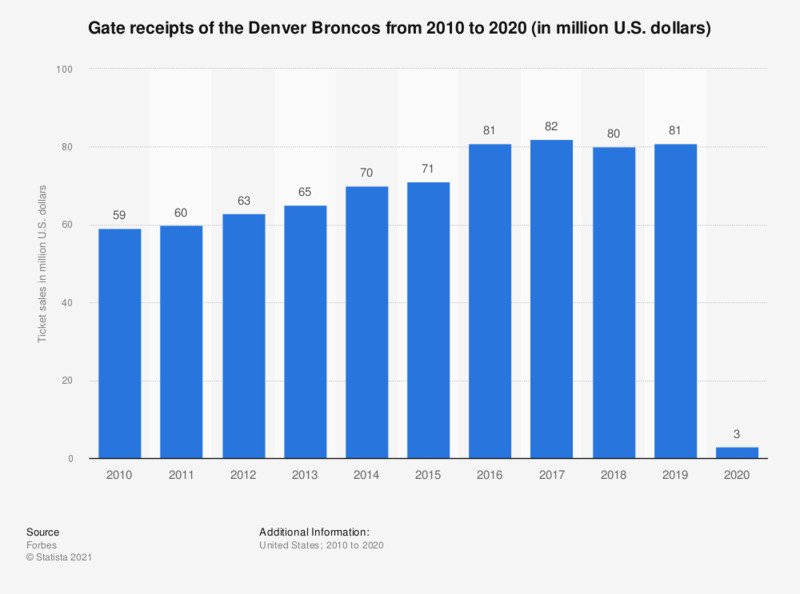 The statistic depicts the annual ticket sales of the Denver Broncos in the years 2010 to 2017. The Denver Broncos, franchise of the National Football League, generated 82 million U.S. dollars in revenue from gate receipts in 2017. Which if any of the following do you plan to drink while watching the game?